This well-maintained home for sale in Spartanburg boasts a wonderful floor plan that maximizes your livable areas. As you pull into the driveway you will immediately feel right at home. Inside is a cozy living room that opens up to the dining room and the kitchen. The home layout is definitely a plus, there’s easy foot traffic from the living room to the kitchen and the rest of the house. The kitchen has everything you need from storage, extra dining space, to stainless steel appliances. Get cozy in the living room, enjoy the warmth of the fireplace, or enjoy the privacy of the bedroom. The master bedroom is definitely lovely with its generous size, beautiful trey ceiling, and updated bathroom! Enjoy the brand new shower, garden tub, and double sinks. Outside, on the back deck, there is plenty of space for outdoor entertainment. There’s plenty of storage too located at the outbuilding at the back and a workshop. 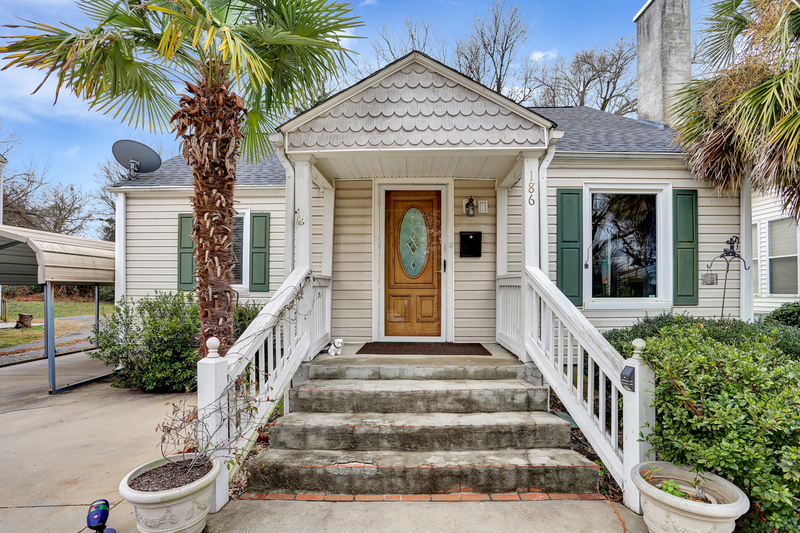 186 Avant Street is located just behind Converse College and just a short distance to shops, and other amenities in downtown Spartanburg. This quality home is offered at excellent value and will attract plenty of interest. Add this home to your must-see list while it lasts.